It's the sixth year that I've been making Christmas crafty gifts and lately I wonder if I'll one day run out of ideas. Oh silly me, as long as there's Pinterest, I think I'll be stocked with ideas for many years to come. 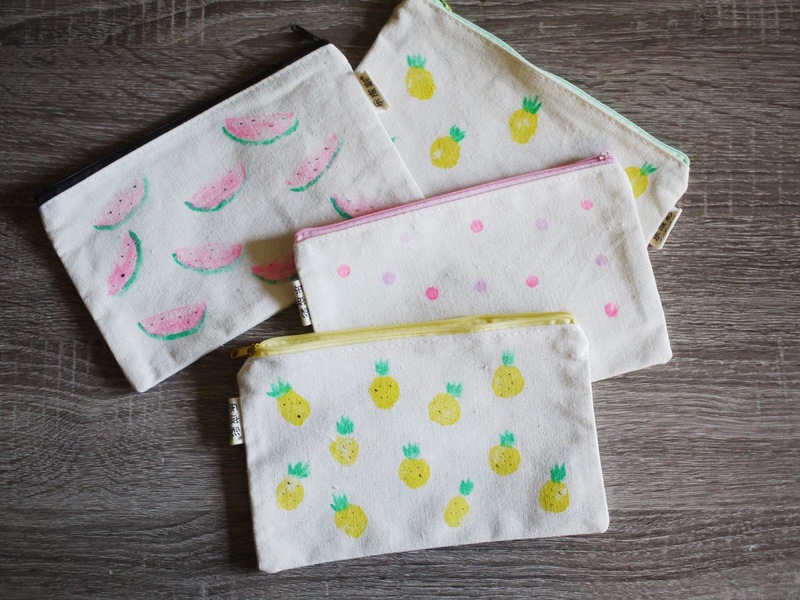 This year's craft is stamped pouches that can be used as cosmetic bags or pencil pouches. I purchased some on Amazon but you can also easily find some at your local Hobby Lobby. 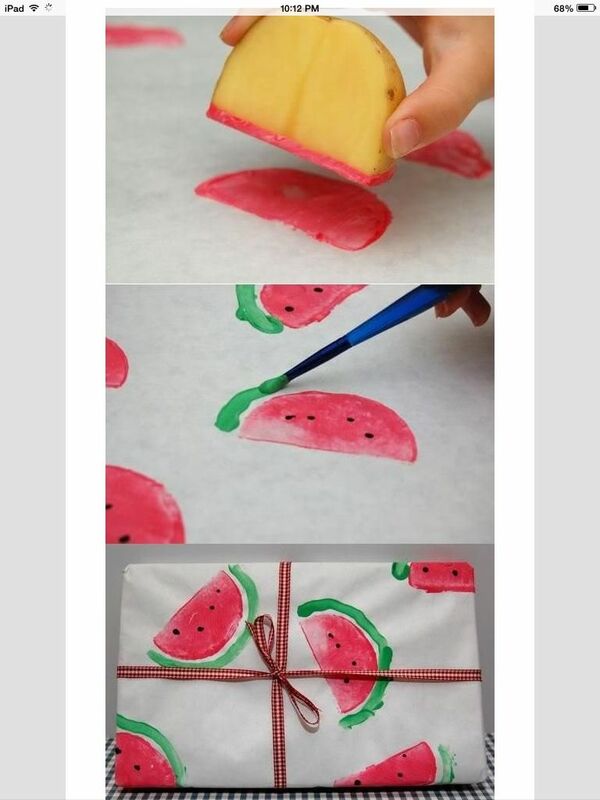 A watermelon print is easily made with a DIY potato stamp. Or you can use a pencil eraser to create an easy polka dot pattern. And if you have a stamp carving kit, you can carve out a cute pineapple print. 1. 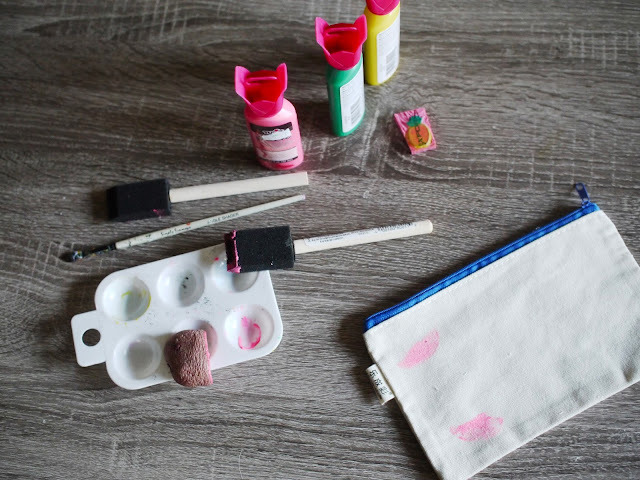 Coat the stamp with paint using the sponge craft brush and practice the shapes on a scrap sheet of paper. When ready, stamp the pouch on both sides. 2. Let paint dry for a couple of hours. Then fill pouch with your favorite pencils or makeup.